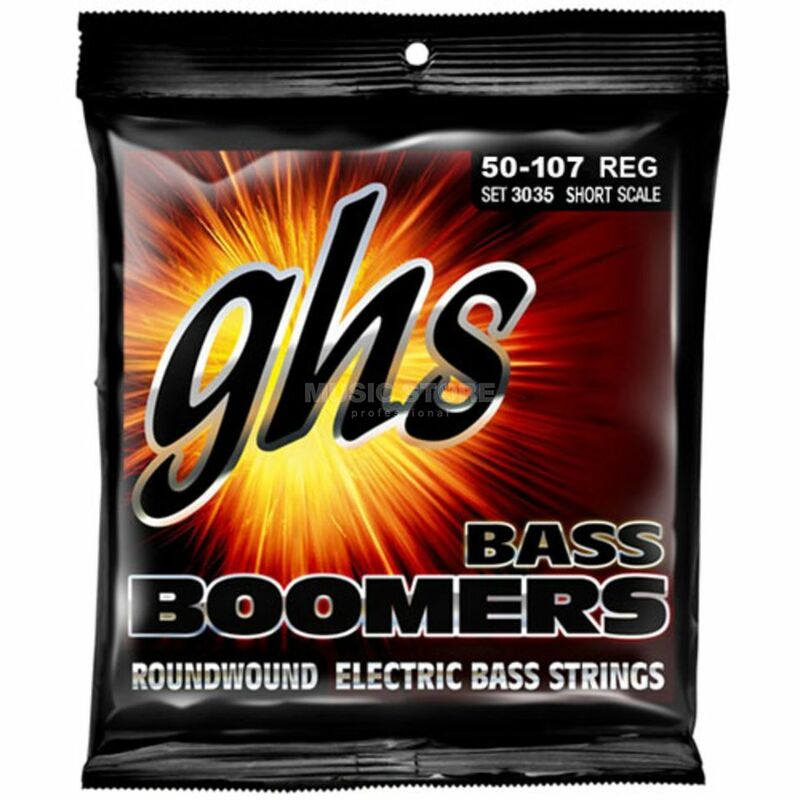 The GHS 4 String Bass Boomers .50-.107 Short Scale is a pack of high-quality and long-lasting 4-string electric bass guitar strings. Delivering a big, round and punchy tone, these round wound strings have a long-string life and are ideal for professional bassists. The GHS Bass Boomers are the classic Power String and they have been for years. Today they are one of the most popular bass strings in the world and are used by bass greats including the legendary Flea. Like the guitar version, Bass Boomers feature a nickel-plated steel wrap that provides brilliance, volume, sustain and strength, unlike any other bass string.